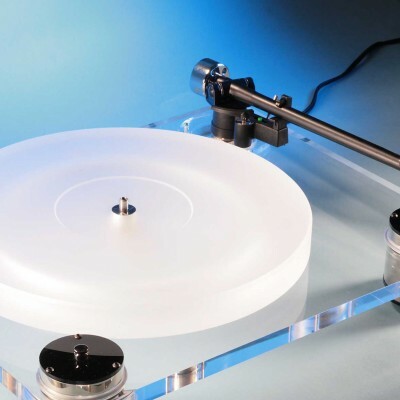 The SCHEU Cello is our introductory turntable. 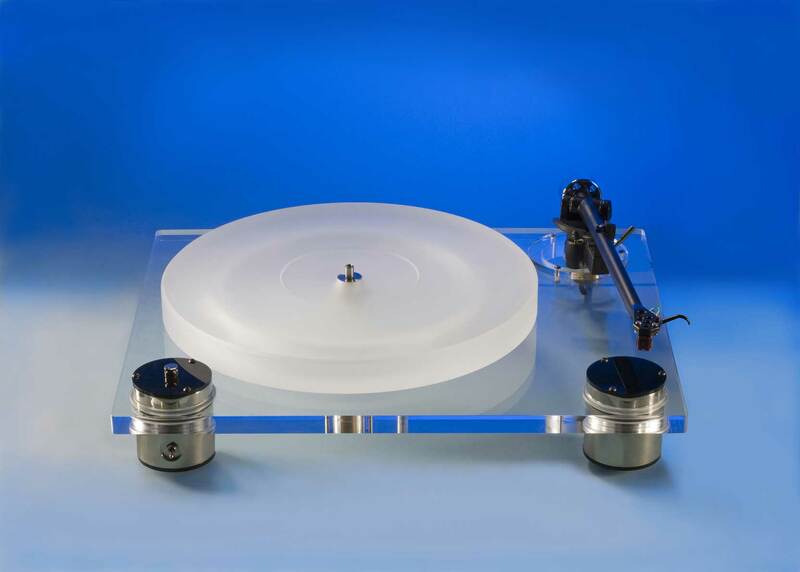 It was developed with the aim of transferring as many of the virtues of the Premier as possible to a compact and attractive turntable with its own integrated drive unit. We built in the same high quality bearings as in the great Premier. 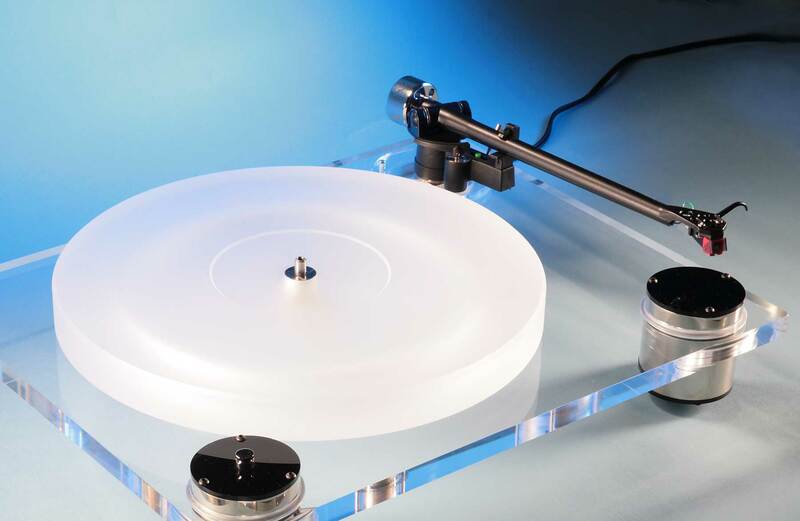 The Cello is exclusively designed for 9-inch tonearms. 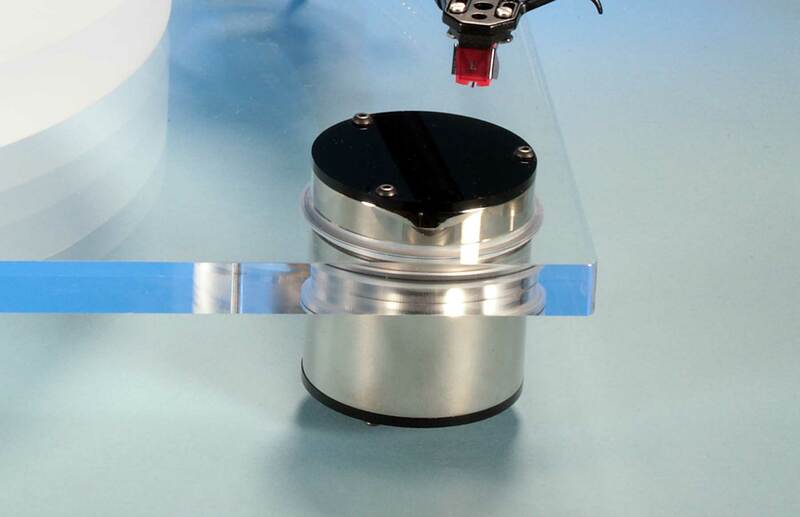 The platter is 300 mm in diameter and 30 mm high and weighs about 2.5 kilograms. The dimensions of the shell are 425 by 330 mm. 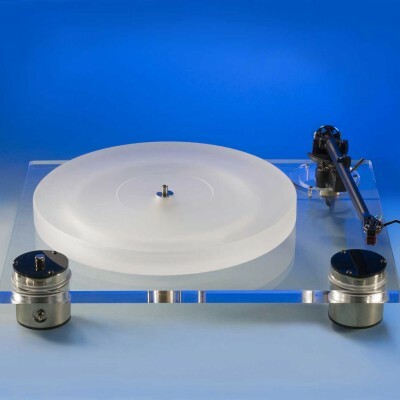 The turntable can also be fitted into very small spaces and is perfectly happy located on wall brackets. 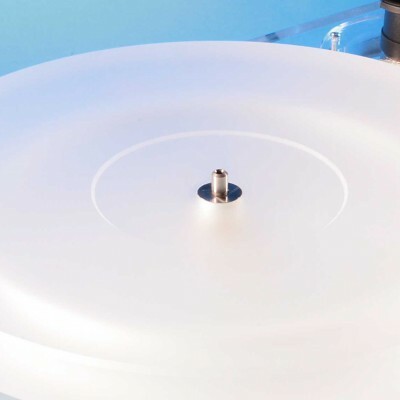 For this devices we recommend SSC´s solo bases which are available at your local audio dealer. Scheu’s smallest deck offers attractive modern cosmetics, flawless finish and sonically inherits certain gifts from the dearer Premier model. The Cello clearly is no poor man’s job. 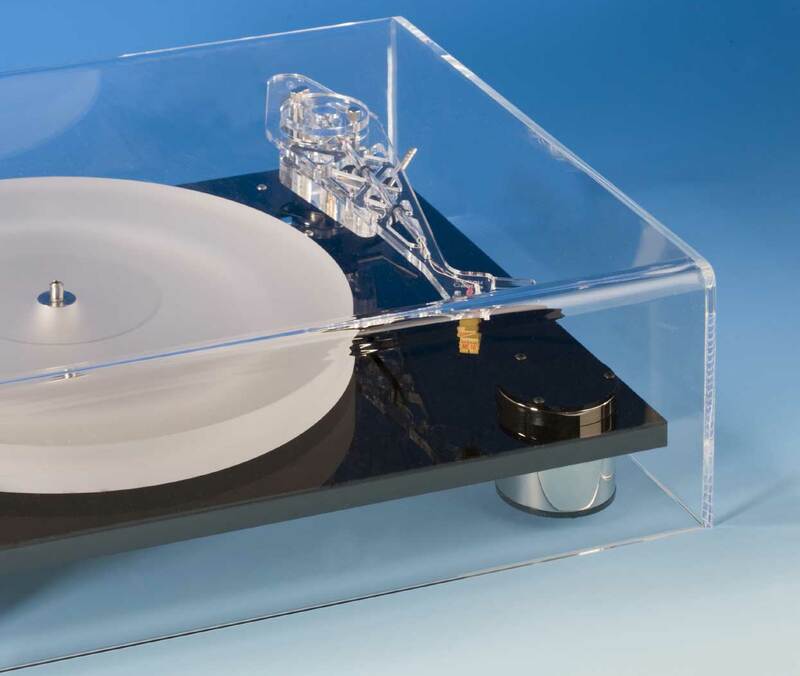 In terms of sound, the Cello is a truly matured record player that has plenty of power and resolution. 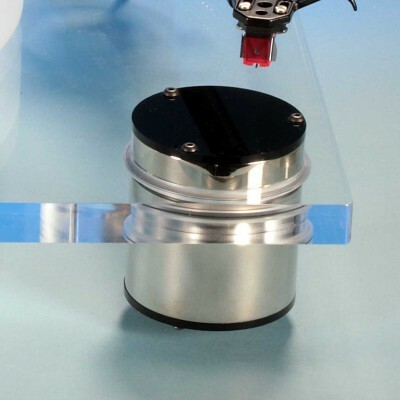 The Cellos chassis is available in transparent, black, blue, red and white satin-finished. 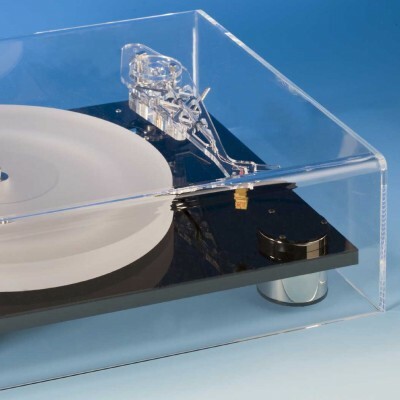 Chassis an turntable made of acrylic glass. 300 mm diameter, 30 mm height, ca. 2.5 kg. 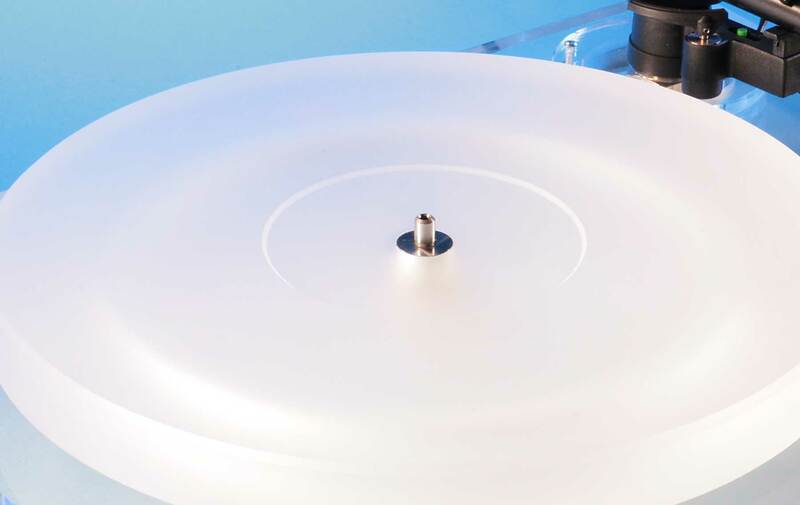 The Cello is only designed for 9-inch tonearms. 42.5 cm wide, 17 cm high, 33 cm deep.